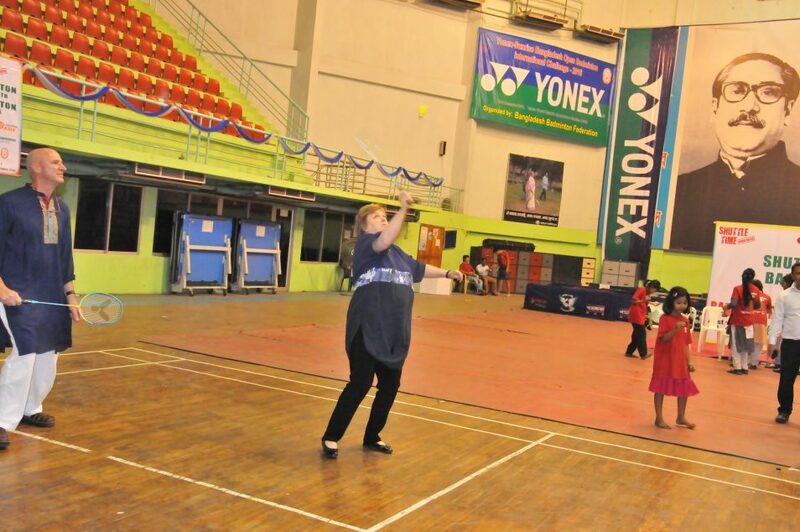 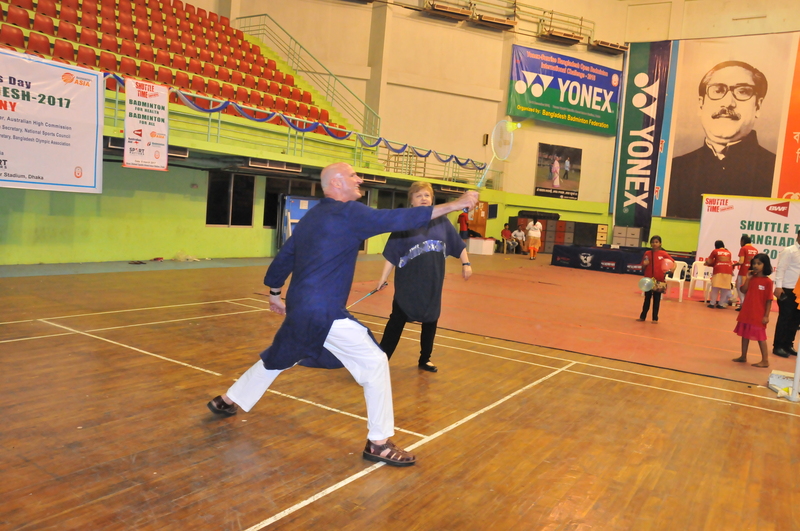 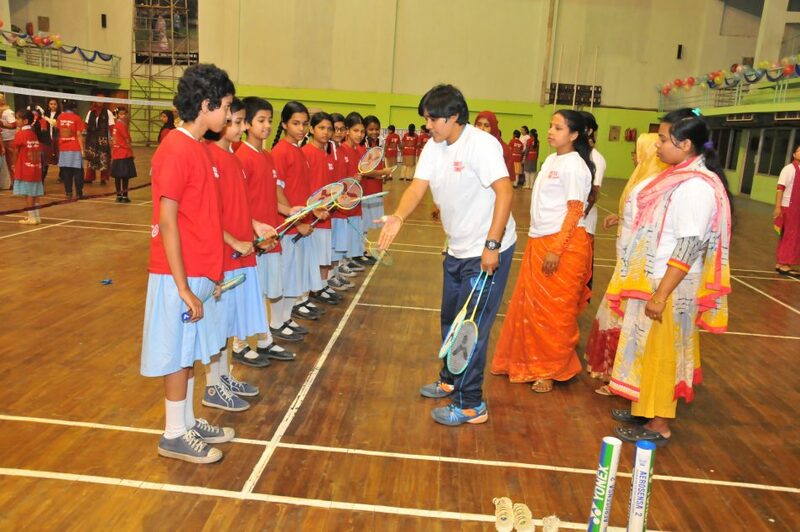 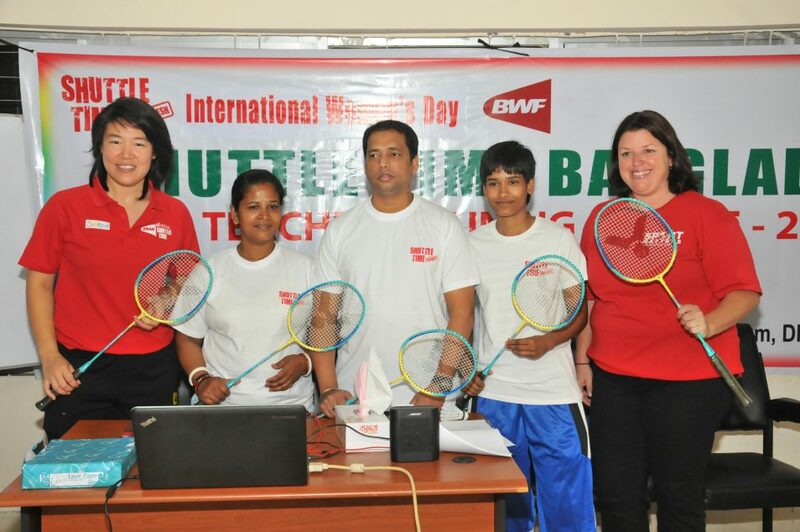 Over 100 women and girls gathered at the National Stadium in Dhaka on March 8 for a special celebration for International Women’s Day hosted by the Bangladesh Badminton Federation. 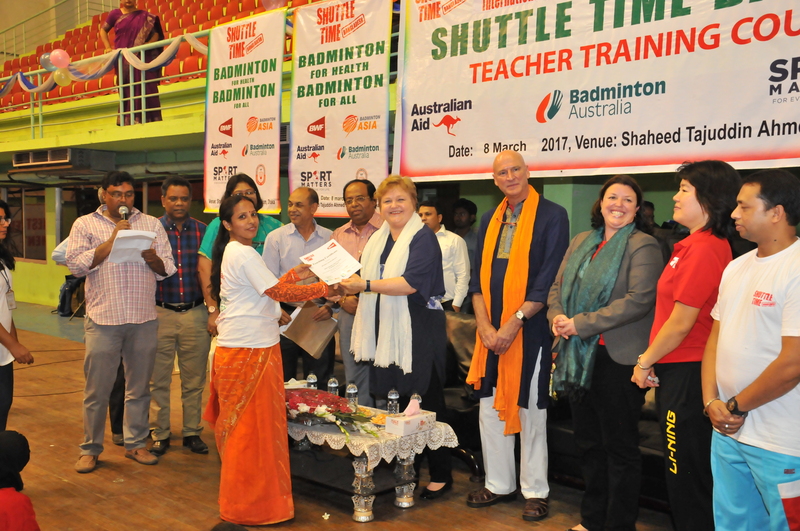 The Australian Government is proudly supporting the Shuttle Time Bangladesh under the Asia Sports Partnership small grant fund and for International Women’s Day Teachers Training Course was delivered to female teachers and 60 primary school girls enjoyed an afternoon of Shuttle Time. Thirty three primary school teachers (100% female) from 23 schools in Dhaka, has been completed the BWF Shuttle Time Teacher Training Course. 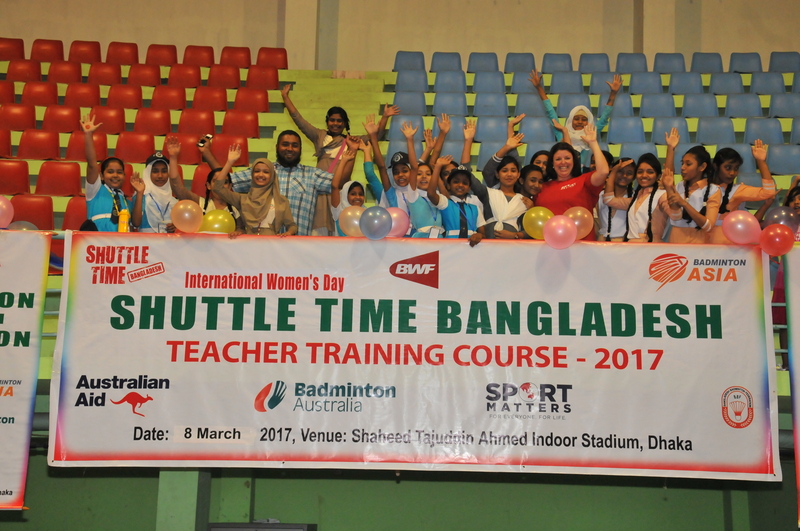 The training was delivered by 3 Shuttle Time Tutors from Bangladesh; Mrs. Rama Debnath (Khulna), Ms. Rasma Akter (Rajshahi) and Mr. Nuruzzaman Liton (Dhaka) who were trained in February by Badminton Asia. 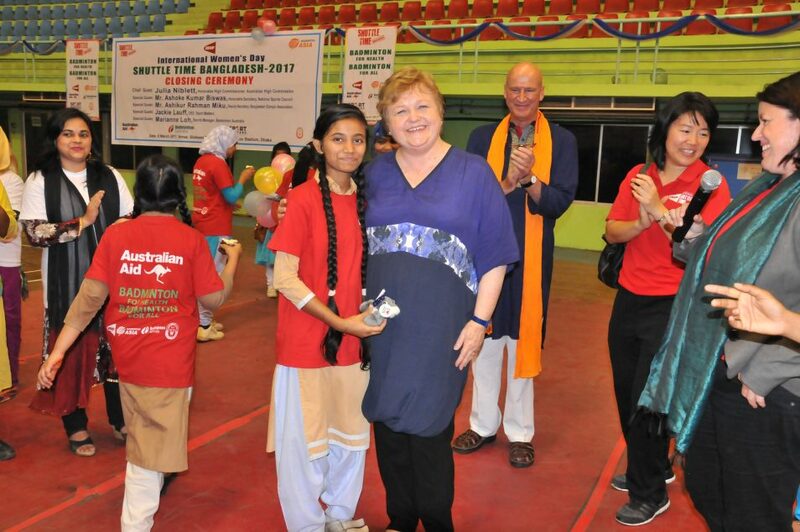 The formal proceedings were opened by Children’s Garden High School which recognised that International Women’s Day is an important day of celebration for women all around the world. They highlighted the value of sport for girls and women, and how important it is for girls to have an equal chance to participate in all parts of society while at the same time respecting their responsibilities with their family and their children. 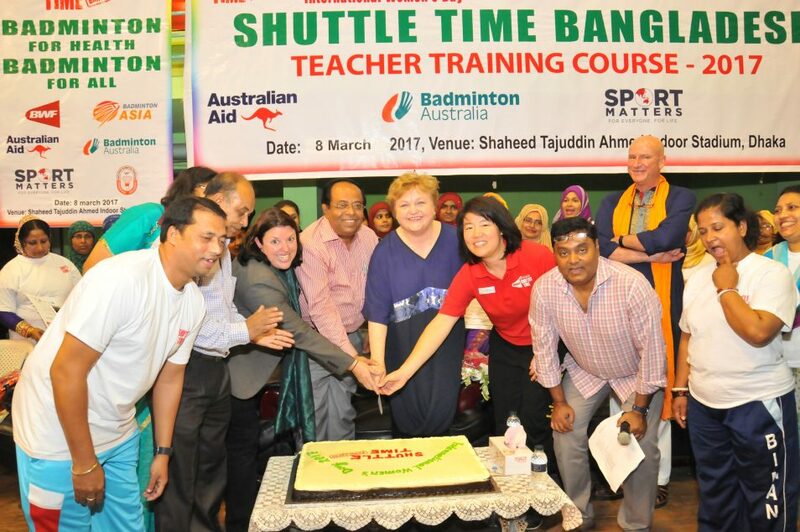 The Australian High Commissioner, Ms. Julie Niblett joined the celebration and highlighted the importance of equality for girls and women in sport and all aspects of life, specifically in Bangladesh. 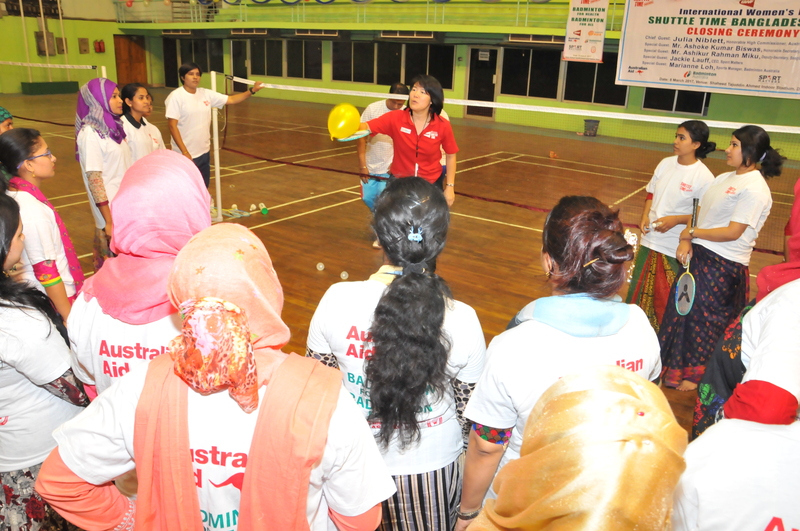 Australia’s commitment to Sport Diplomacy in the Pacific and Asia, and the power of sport to deliver outcomes in education, health and social inclusion. Mr. Ashoke Kumar Biswas, Honorable Secretary of the National Sports Council welcomed the support of the Australia to use sport to strengthen the relationship between the Government of Australia and the Government of Bangladesh.